The empty old seminary building at St. Edward State Park in Kenmore has never failed to spook me. It gives vibes more typical of a haunted house than of an architectural landmark — it’s no surprise it has been used as a set for horror movies! 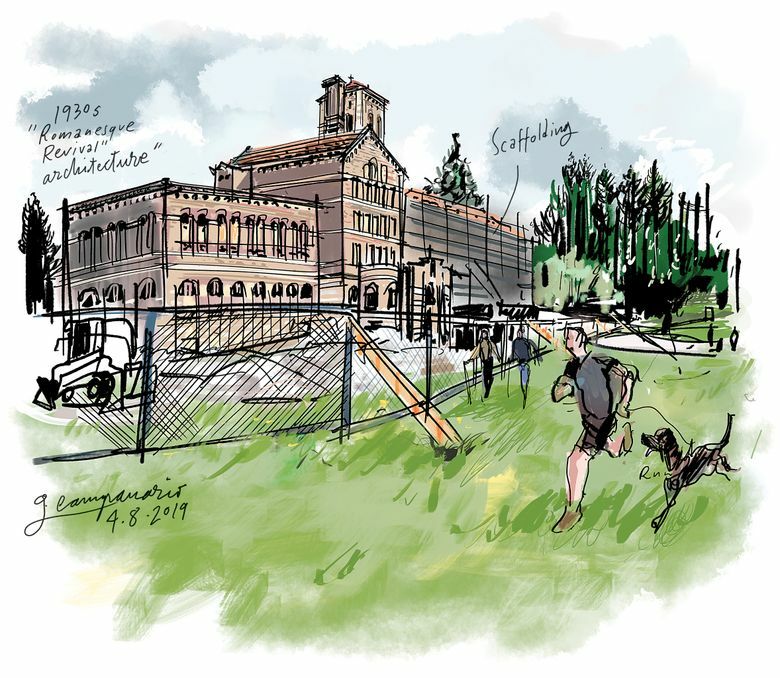 But more than 40 years after the Seattle Archdiocese sold the 1930s landmark and its vast grounds to the state, the eerie building is about to become a welcoming destination. It is being transformed into a lodge-style hotel that is scheduled to open in the spring of 2020. Renovations are already underway but don’t let that stop you from visiting. Life at the huge state park seems very much unaltered by the construction. Even on a late weekday afternoon, I found the huge playground teeming with kids and people walking or running through the woodsy trails that reach all the way to the Lake Washington shoreline.